I love your site and all that you have done for putting Rumford fireplace information on the Internet. Five years ago I had two Rumford fireplaces built using Superior components. 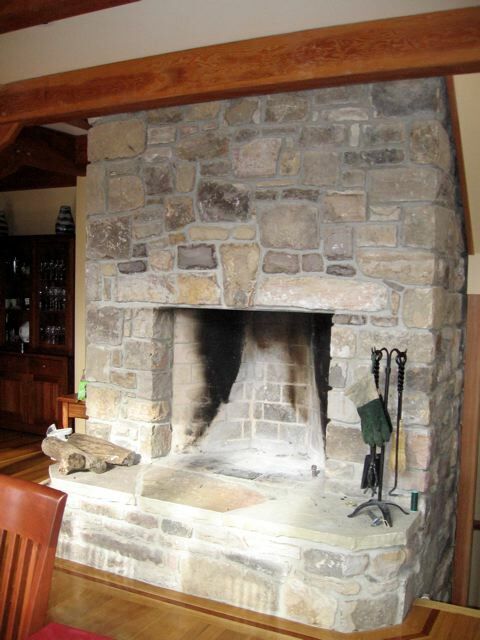 The main fireplace is 42" in stone. In general it draws very well and puts out a lot of heat. Friends and neighbors are amazed at how well it burns and the size of logs we can feed it.